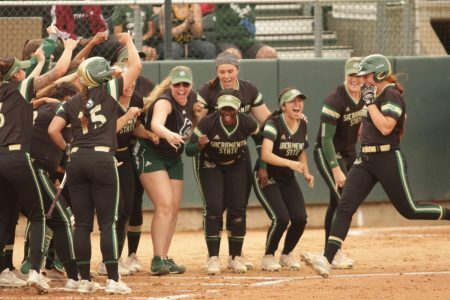 The Sacramento State softball team congratulates sophomore designated player Alexxiss Diaz, middle, after she hit a walk-off home run against Portland State at Shea Stadium on Thursday, April 5, 2018. 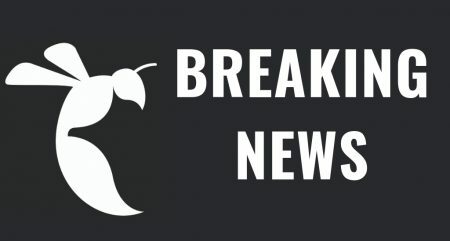 The Hornets defeated the Vikings 1-0 in extra (8) innings. 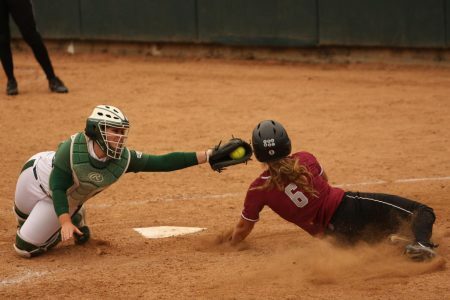 The Sacramento State softball team swept the Portland State Vikings in a three-game series on Thursday and Saturday at Shea Stadium. 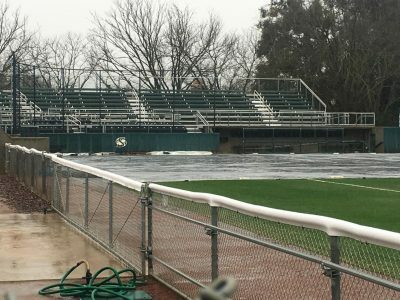 The Hornets (20-11, 6-3 Big Sky Conference) were originally supposed to play the Vikings (10-27, 3-6 Big Sky) in a doubleheader on Friday and one game on Saturday, but rain forced the series to be rescheduled, with one game on Thursday and the doubleheader on Saturday. 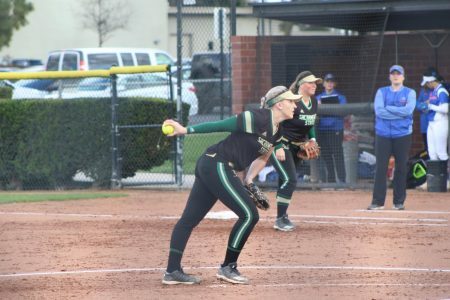 The first game of the series, which went into extra innings, saw Sac State senior pitcher Celina Matthias throw eight innings of work with nine strikeouts and two hits allowed. 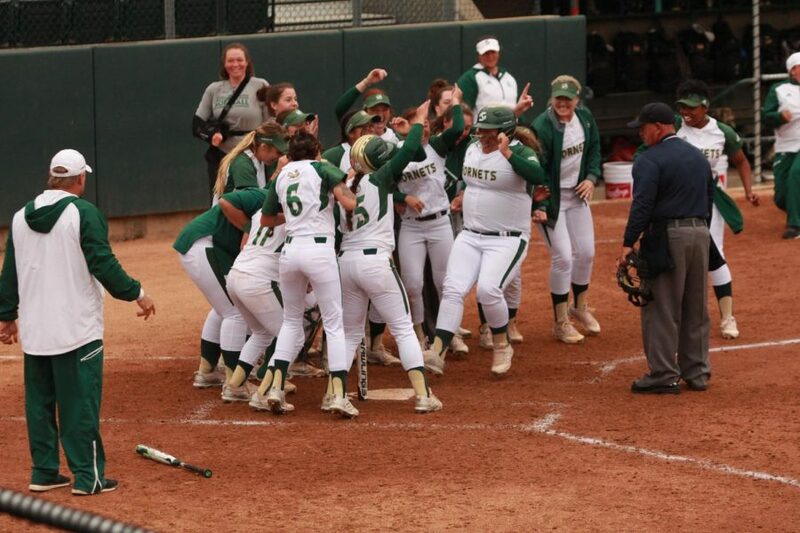 The Hornets’ offense, which left 10 runners stranded on base, was unable to score any runs until the eighth inning when sophomore designated player Alexxiss Diaz hit a solo walk-off home run to give Sac State a 1-0 victory. The Hornets then took game two of the series with a 4-1 victory off the arm of Matthias who threw another complete game. 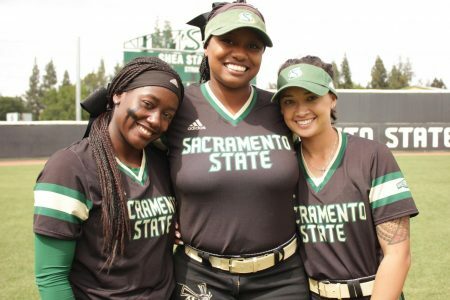 Matthias — who struck out eight batters and gave up one run and three hits — also became the third Sac State player in Division I softball history to win 50 games. 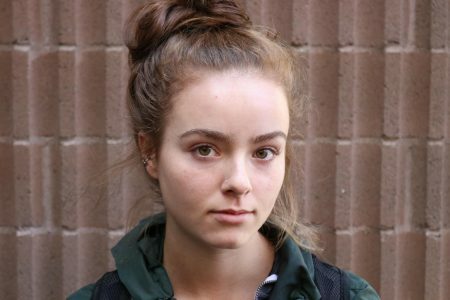 “I was looking at the record book a couple days ago with my boyfriend,” Matthias said. “I am really fascinated by that kind of stuff. 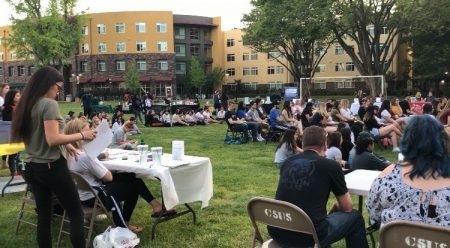 It’s like looking back in history into what Sac State did, and I think that’s really cool. Matthias said she could not have gotten those wins without her defense, especially from sophomore catcher Jessica Scott. 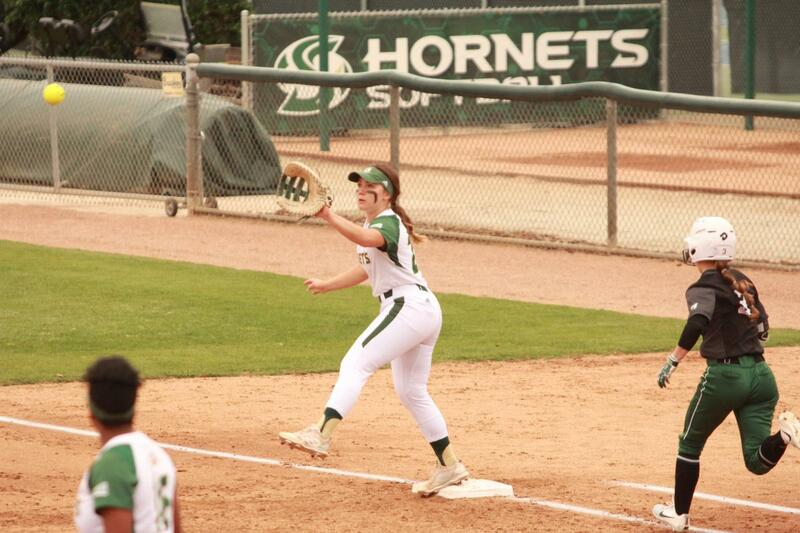 Sacramento State sophomore first baseman Mo Spieth prepares to catch a ball thrown to her in order to get Portland State outfielder Marissa Bruno out at Shea Stadium on Thursday, April 5, 2018. The Hornets defeated the Vikings 1-0 in extra innings (8). 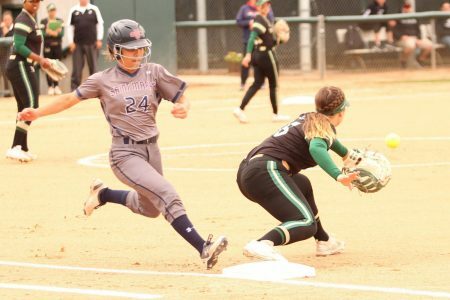 Senior third baseman Marissa Maligad went 1-for-3 with two RBIs, while sophomore first baseman Mo Spieth and senior second baseman Zamari Hinton each had an RBI. The Hornets then completed the sweep with a 4-2 victory in game three of the series. 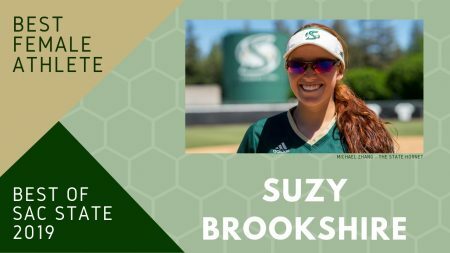 Sophomore outfielder Suzy Brookshire went 2-for-3 with three RBIs including a two-run home run in the third inning which was her 11th of the season. Spieth also added an RBi in her 1-for-2 performance. Junior pitcher Savanna Corr allowed two runs, nine hits and struck out four batters in six innings of work. Matthias, who pitched the final inning with one hit allowed and two strikeouts, earned the save. 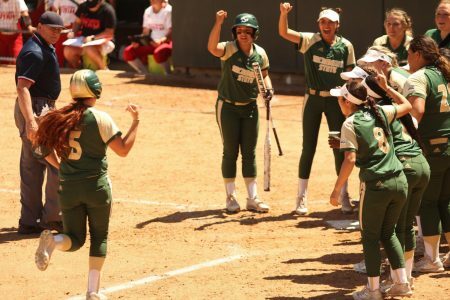 Sac State coach Lori Perez said she was proud of her team for winning games without scoring a high number of runs. The Hornets will next take on Santa Clara University, which Sac State is 3-0 against this season, on Wednesday at Shea Stadium.